Harold Gerson was born in Montreal in 1905. He received his bachelor’s and master’s degrees in geology from McGill University. Thanks to the recommendations of his friend Raymond Boyer, he later worked for several Crown corporations, developing ammunitions for the Canadian war effort. Although Gerson denied spying for the Soviet Union (he was linked to another suspect, his brother-in-law J.S. 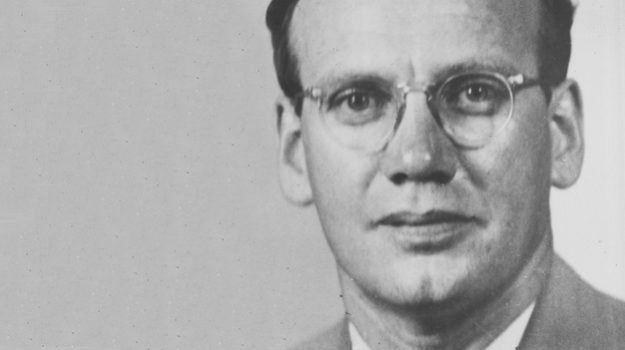 Benning), the espionage commission connected him with several documents stolen from the Soviet embassy. Found guilty at trial, he appealed the verdict and was later acquitted on a technicality but was subsequently retried and again found guilty, after which he was sentenced to five years in prison. “Gerson (cover-name Gray) was born in Montreal on the 17th April, 1905, of Russian parentage, both father and mother having been born in Kiev. He holds the degrees of Bachelor of Science and Master of Science in Geology from McGill University. Previous to his employment with the Canadian Government or Agencies thereof he was engaged as a geological engineer with mining companies. At the end of December, 1941, he applied for and obtained employment in Montreal with Allied War Supplies Limited, a Crown company incorporated to supervise the construction of facilities for the production of chemicals and explosives and later the production of these materials. Gerson was Assistant to the head of the Production Control Committee. Gerson’s duties consisted in analysing production figures for all the filling plants, and maintaining production records. He remained with the Allied War Supplies, Limited, until July, 1944. Following this Gerson was employed on the staff of the Department of Munitions and Supply in Ottawa, until in or about November, 1945. At that time he was Secretary, and Chief of the Records Division, of the Ammunition Production Branch. He then became, and still was at the outset of this Inquiry, an employee of War Assets Corporation, also a Crown company. While still with Allied War Supplies, Limited, Gerson was, on occasion, on loan to the Department of Munitions and Supply, and even after going to War Assets Corporation he had still some duties to perform in that Department. It was on the recommendation of Dr. Raymond Boyer, upon whom we report in Section III. 11 that Gerson obtained his first appointment in the Government Service, and it was in turn through Gerson that J.S. Benning, his brother-in-law — upon whom we also report in Section III. 12 — got his appointment with Allied War Supplies Corporation in June, 1942. In the course of his various duties Gerson obviously had access to much secret information, and in connection with all his positions he was under an oath of secrecy.